Professor Bond is currently an RL Martin Distinguished Professor of Chemistry at Monash University, Victoria, Australia. Over the period 1978-1990, he was Foundation Professor of Chemistry at Deakin University, Victoria, Australia and for the period 1990-1995, Professor of Chemistry, La Trobe University, Victoria, Australia. He received his PhD (1971) and DSc (1977) degrees from the University of Melbourne, where he held teaching and research positions. He also held visiting Professorships at Northwestern University (1972, 1976), the University of Southampton (1983) and Oxford University (1988, 1991, 1998, 2003). 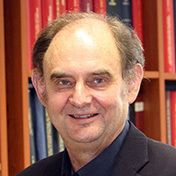 Professor Bond's major research interests involve the development and application of modern electroanalytical techniques, and is the author or co-author of over 800 papers, patents and books on this subject as well as the recipient of senior awards from the Royal Australian Chemical Institute, The Royal Society of Chemistry and most recently the Charles N Reilley Award from The Society for Eletroanalytical Chemistry. By their very nature, electrochemical techniques require the knowledge and use of a broad spectrum of research disciplines such as reaction mechanisms, kinetics (both homogeneous and heterogeneous), solution equilibria, thermodynamics, redox reactions, synthetic chemistry, etc, in addition to a detailed understanding of modern, particularly computer based instrumentation and electrochemical theory. The techniques can therefore be applied to research problems in many areas and extensive collaborative work with other research groups provides considerable stimulus to the methodology, theory and instrumental work developed by Professor Bond's own research group.